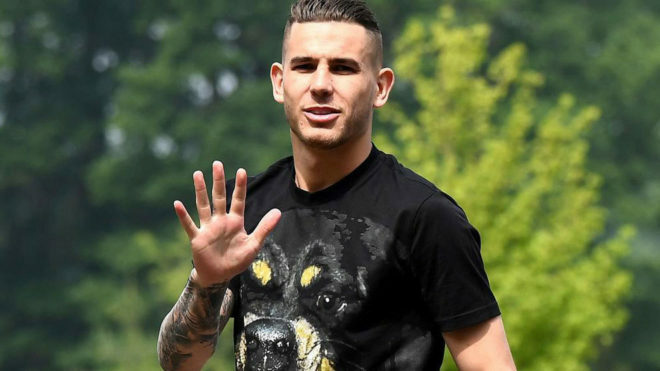 Lucas Hernandez will join up with new club Bayern Munich as soon as next month when he begins recovery from knee ligament damage. This is despite the fact that the transfer of the Frenchman will not go through until 1 July, as announced by both Bayern and Atletico Madrid. The defender will spend approximately the next week in a hospital in Innsbruck under the supervision of German medics. Once he receives clearance from the medical staff, Lucaswill return to Spain to prepare for his move to Munich. He will then start working on his recovery with Bayern with a view to being fully fit to start pre-season, where they will face Lucas's brother Theo and Real Madrid. Bayern club doctor Hans-Wilhelm Muller-Wohlfahrt is a highly respected and experienced figure at the Allianz Arena and has dealt with long-term injuries before, most notably with Thiago. Lucas will not return to Atletico's Cerro del Espino training base to train, but to say goodbye to his teammates and coaching staff. Great addition to Die Roten.